Mr. Blakemore was called to be with the Lord on Wednesday, January 16, 2019. He was born on September 11, 1953 in Lubbock to Rubie Sr. and Clara (Colquitte) Blakemore. He was a graduate of Estacado High School where he ran track and the University of North Texas. Ronald was a booking agent for American Airlines for a number of years and had various interests in life which include being an avid Dallas Cowboy fan. He also enjoyed traveling, studying history and always had a funny sense of humor that everyone enjoyed. 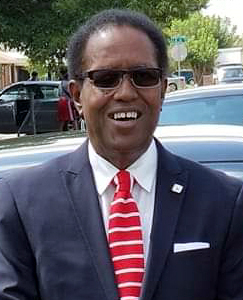 He is preceded in death by his father Rubie Blakemore Sr. Survivors include his mother Clara Blakemore of Lubbock; four sons, Ron Blakemore II of Dallas, Bryan Brooks of Cedar Hill, Michael Ross, Kevin Ross; daughter, Precious McMillan of Desoto, Texas; two brothers, Jerry Colquitte, Rubie Blakemore Jr. both of Lubbock; one sister, Patricia Becknell of Lubbock and five grandchildren.